Your first visit will be a perio exam with Dr Criveanu. If your general dentist has sent your radiographs to our office then no additional radiographs will be taken. The appointment begins with an evaluation of your general health and a history of your past dental treatment and experiences. Dr Criveanu will then examine your mouth and document the level of your gums, the pocket depths around your teeth, any mobility that may be present, and the quality and health of your gums. She will then go over the findings with you and explain the problems if there are any, and how to treat them, and most importantly how to make sure they don’t come back. If you’ve had negative dental experiences in the past, please let our staff or Dr Criveanu know. It is our goal to make you as comfortable as possible during your visit. 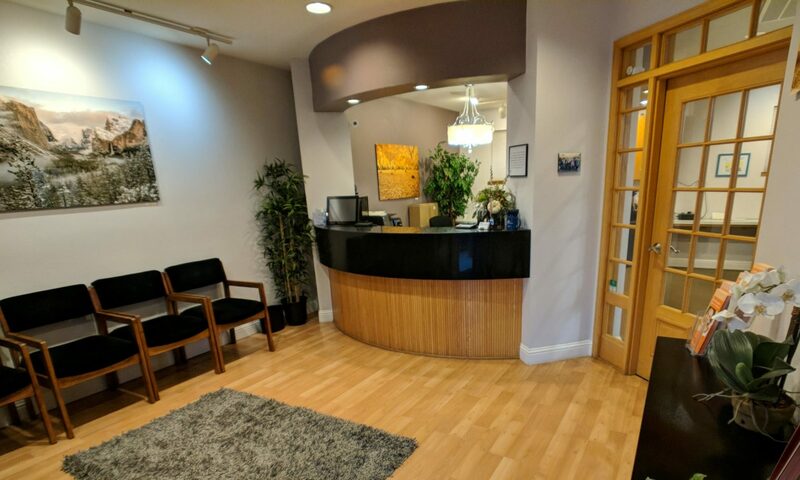 Our office offers oral sedation, moderate intravenous sedation, and in some instances general sedation. Your referral slip and x-rays from your referring dentist. Please note that your dentist may send a digital copy of your x-rays. To help speed the check-in process, the forms below are available for you to fill out at our own pace from home. Click on the links below and fill out both the Health and Dental History forms. Then all you have to do is hit submit. No printing required.